Have you dreamed of owning your own home? Do you worry that you will never be able to afford your dream? You might be surprised to learn that it’s entirely possible to build a modular home for under $150K and not sacrifice the upgrades that you want. What Is the Average Cost of a Modular Home? The building process starts with the lot and the floorplan. 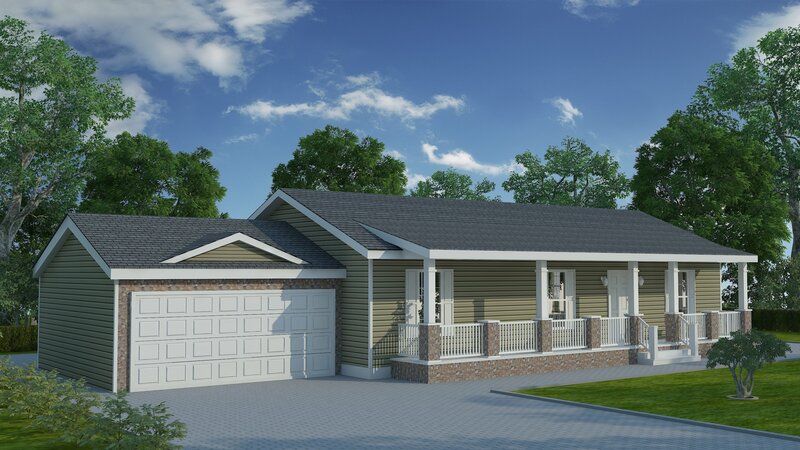 There are many modular floor plans to choose from, but let’s take a look at the Barton Ranch Modular Home (click to see pictures). 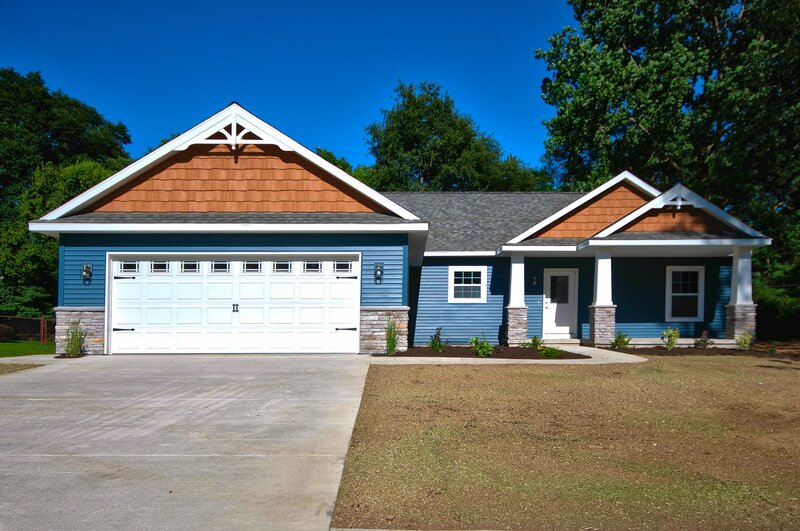 This particular model has three bedrooms and 1,280 sq ft of living space. The estimated cost of building the Barton Ranch is right at $80,536. Please note that the base price of the home includes sales tax, delivery to your location, setting and fastening to your foundation, up to $3,000 in crane fees, and the interior and exterior finish work after the home is set (basement steps or exterior porches/decks/steps not included). At this point, you have about $70,000 to invest in “extras.” Do you want a basement? Garage? 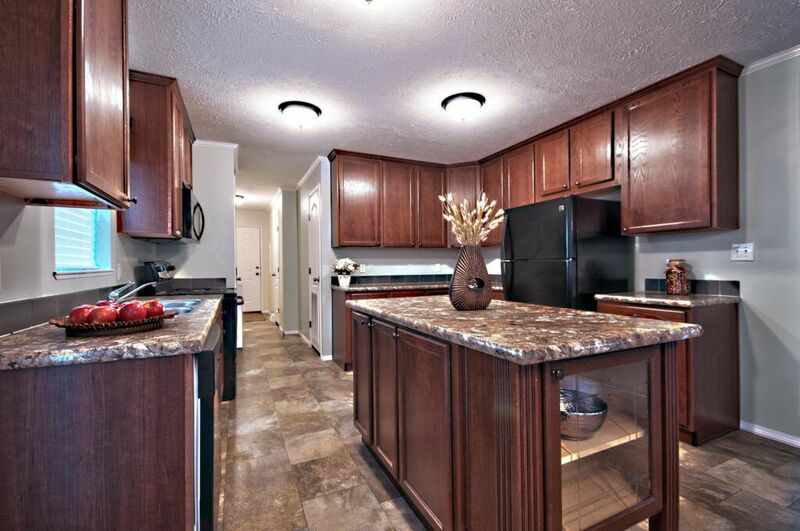 Will you want to invest in upgraded appliances? Consider which items can’t be added later and decide if they are important to you. For instance, it’s not really possible to go back later and add a basement. Includes items such as gutters, permits, gravel driveway, and our 13% General Contractor fee. Once your home is built, you can add upgrades as your budget allows or you may find that with a bit of sweat equity, you can save even more money. Rather than using oak, purchase pine trim and either stain or paint it. You will end up with the same finished look for a much more affordable cost. Install laminate flooring instead of hardwood floors. Laminate flooring costs less and is particularly suitable for homes with small children and pets. Finish the basement yourself. You may not be able to pour a basement after the fact, but there is no need to finish it out until you are ready. One of the beautiful things about building a modular home is how easy it is to add onto it later. There are few things to consider but a modular home addition is an excellent way to expand your $150K home. You will want to ask these questions before you build so that there aren’t any surprises later. You will also want to spend time with your modular home builder to discuss style choices. He can help you find an addition that works well with your existing floor plan. The design should match the architecture so that it’s not obvious that the addition was added after the home was built. Now that you know you can build a modular home for under $150K, you should speak with your local contractor and ask for a quote. Keep in mind that not all builders are the same and the least expensive option is not always the best. Check references and ask for recommendations. If possible, find a local modular home company. Having the builder close at hand often means a more personal approach. They can also help with local zoning restrictions and building permits.